According to him, many Ghanaians do not properly contribute to the Trust to ensure happy retirement despite knowing the important role of SSNIT in their old age. Dr. Ofori-Tenkorang disclosed this while addressing students and some youth groups at the Navrongo Campus of the University for Development Studies as part of the SSNIT Info Shop series. “Today many of us here are in active service and enjoying whatever comes with it and for those of you in school, you are hopeful of getting a good job and life after school. One thing that happens along these stages unnoticed is aging. The SSNIT Info Shop series, spearheaded by SSNIT, is an initiative of the University Students Association of Ghana (USAG) to sensitize university students on the need to start investing as early as possible. 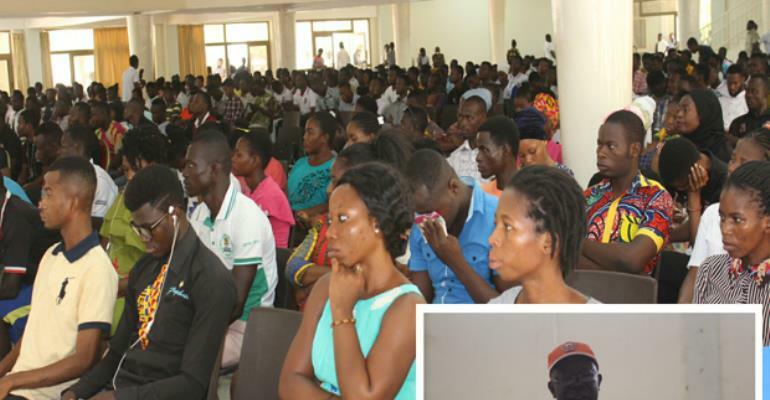 So far, five universities have benefitted from the SSNIT Info Shop series since it started in 2018. The Navrongo forum is the first in 2019. Touching on the role of SSNIT in the development of Ghana's human resource base, Dr. Ofori-Tenkorang said that SSNIT has contributed immensely to the development of tertiary education in terms of infrastructure, sponsorships and students loans. According to him, SSNIT hostels in the various universities across the country accommodate almost 5,000 students to enable them learn and properly prepare towards their future. President of USAG, Kingsley Sarpong Akowuah, said that the USAG-SSNIT relationship will last for a long time, saying the SSNIT Info Shop series, for example, has been very beneficial to students on the various university campuses. He revealed that many young people outside these universities would also benefit from the SSNIT Info Shop series because the students would also spread the message. Persons aged 15 can start contributing to SSNIT, but individuals above the age of 45 cannot contribute to the first tier of the pension scheme.